Exactly 10 days to go!!! 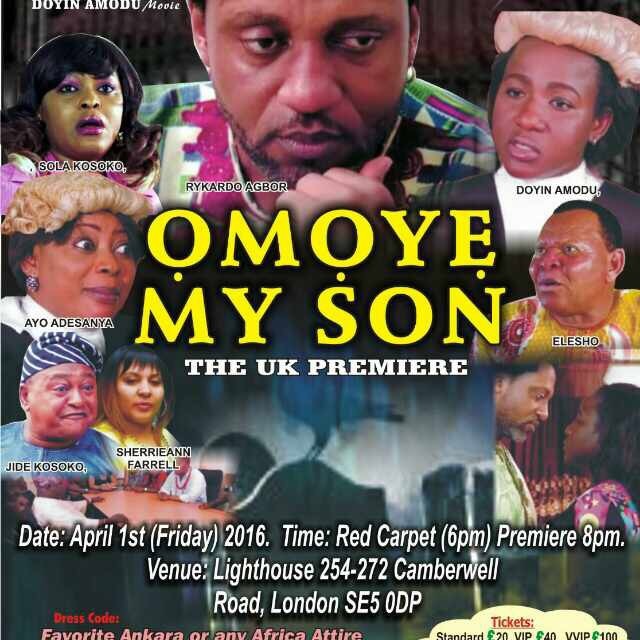 The UK premiere of a Nollywood movie “OMOYE MY SON” an emotional story of love and betrayal of a father who lost his son to the cold hands of death. Featuring most of your celebrities all the way from Nigeria……Jide Kosoko, Rykardo Agbor, Shola Kosoko, Omo jo ibo, Kukute, Afeez Eniola and many more. There will be lots of acts from your favourite comedians, musicians, dancers and other side attractions.